Lotus Notes to Exchange Migration software works towards migrating NSF data to live Exchange Server and PST file format. NSF mailbox items including emails, calendars, contacts and tasks can be exported to Exchange Server in error free manner. After successful migration, Lotus Notes mailboxes can be easily accessed using MS Outlook on Windows machine. *Free Download allows to convert & save 25 items/folder from Lotus Notes to Exchange Migration. 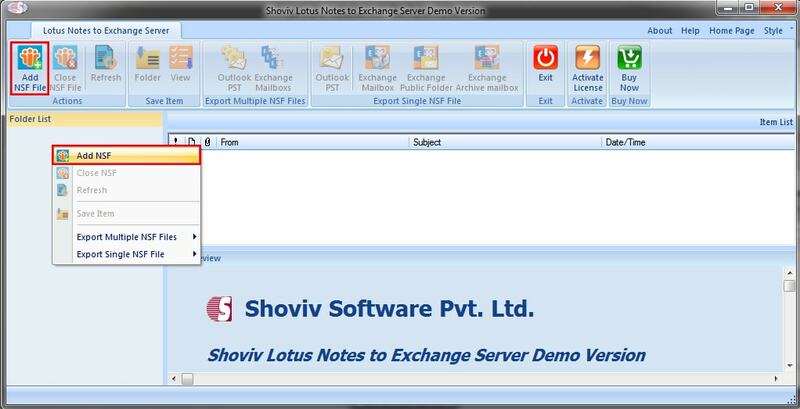 Shoviv Lotus Notes to Exchange has an easy to understand graphical interface. Their support team plays an excellent role whenever required. Would like to rate Shoviv five star. 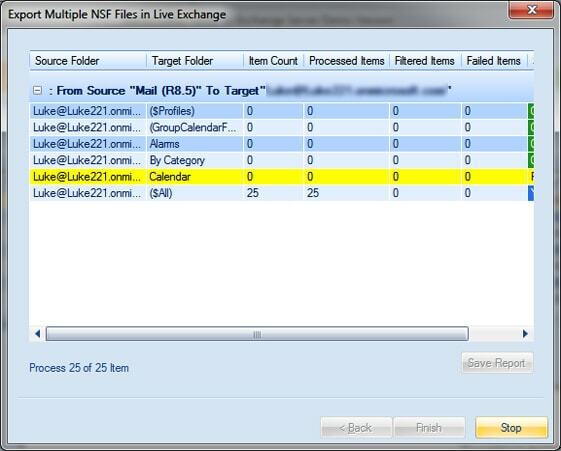 User can add Multiple NSF Files to convert NSF Calendar to Outlook calendar. Software will shows only calendar items in selected folders. One can check the calendar item property’s in item preview section. 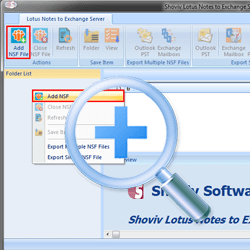 The GUI of the Lotus Notes to Exchange Server software is straightforward. Hence, NSF mailbox migration can be performed without having any technical assistant. No technical expertise required to operate the tool as it offers simple to follow migration procedure. Lotus Notes to Exchange migration utility incorporates Preview pane which allows accessing the scanned data prior to final migration. This helps previewing the components of the selected file and select items that needs to be migrated to Exchange Server. 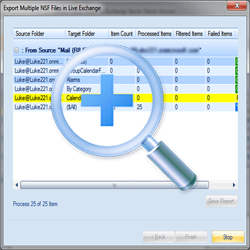 User can export multiple NSF files into Live Exchange mailboxes using this tool. User can also map the added source NSF Files to Live Exchange Mailboxes using item filter option. NSF Files & Lotus Domino server mailboxes can be migrated to Multiple PST Files proficiently. In case you are carrying a large NSF mailbox, it has split option to split resultant PST file into multiple PST files. Apart from migrating IBM Notes mailboxes to Exchange Server, the tool also provides the benefit to save the converted data into EML and MSG file formats. This allows accessing Lotus Notes mailbox items in MS outlook and other email clients on Windows and Mac machines. Folder mapping option allows the users to migrate items from one folder to another folder using folder mapping option. This feature is useful in the scenarios while migrating lotus notes <”Mailbox”> folder into outlook <”Inbox”> folder since, the name of <”Inbox”> folder in lotus notes called <"Mailbox"> folder. While migrating data from Lotus Notes to Exchange Server, the software maintains the integrity of data and prevents folder hierarchy. 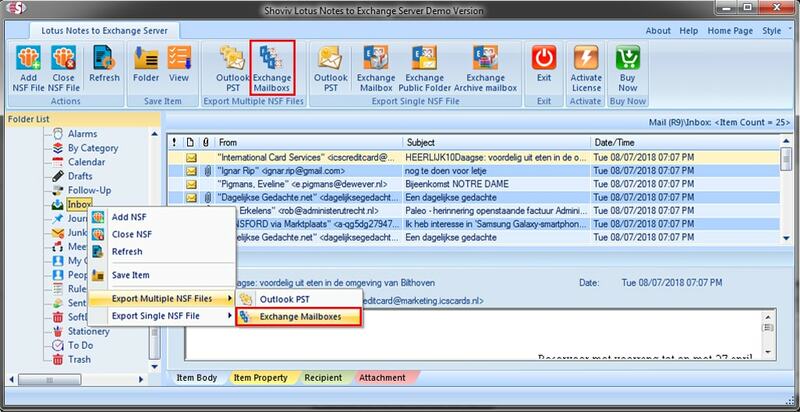 Data is migrated in its original structure once it is exported to Exchange Server, Outlook PST. This feature makes the software more scalable among the users. That being said, Lotus Notes to Exchange migration is compatible with all latest versions of MS Exchange, MS Outlook, Lotus Notes and Windows Operating Systems. It supports Windows 10 and all below versions to perform migration task. 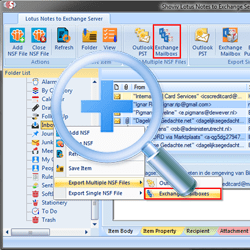 The software automatically converts IBM Notes NSF mailbox data to Exchange Server. The items which can be migrated using the tool are; email messages along with enclosed attachments, tasks, calendars, contacts, journals, etc. It offers multiple export options while converting Notes NSF mailboxes. It provides the option to migrate multiple NSF mailboxes simultaneously to Exchange Server or Outlook PST file. 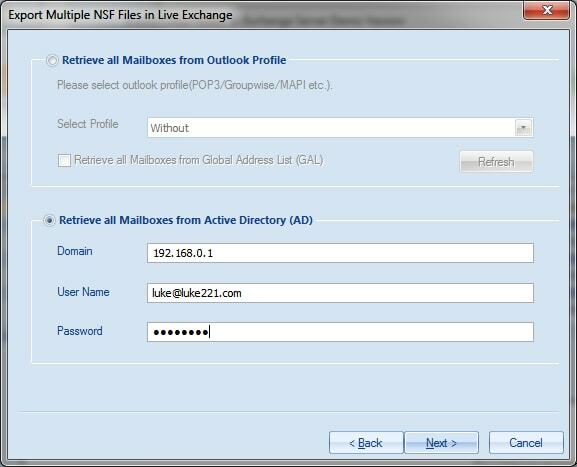 In addition, if you select to migrate single NSF file or folder, the tool provides the option to export data to live Exchange Mailbox; live Exchange Archive Mailbox; live Exchange Public Folder & Outlook file. Is there any installation terms that can affect the applications' download procedure? Can I export multiple NSF files to Outlook PST file format at a single instance of time? Surely, the Lotus Notes to Exchange migration software avail multiple export options while saving data. 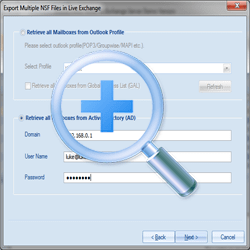 You can either select to export multiple NSF files to live Exchange Server or Outlook PST format. Is there any file size restriction imposed on Lotus Notes NSF mailboxes for migration? There is no restrictions of file size while imposing on NSF mailboxes to perform the migration. However, larger sizes NSF mailboxes can also be migrated successfully to Exchange Server or PST without compromising data loss. Is there any advanced saving options available while exporting multiple NSF files? Yes, Lotus Notes to Exchange migration software have advanced storage features to export multiple Notes NSF mailboxes. It avails an option to select existing profile for migration or alternatively, you can create a new profile to migrate multiple NSF files to Exchange Server. 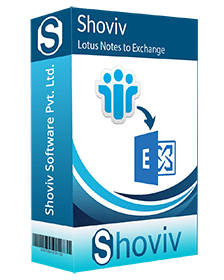 Can I install Lotus Notes to Exchange Server application on Windows all version? Surely, the software can be successfully downloaded and installed on Windows all version. It supports migration on Windows 10/ 8.1/ 8/ 7 and all lower versions. Please keep in mind, that the machine must have 40 MB free space on hard drive with 1 GB RAM.